Modi’s election trail in Assam brings him face to face with the electorate through public meetings at Tinsukia, Majuli, Bihpuria, Bokakhat and Jorhat. Modi said the Assam Chief Minister Tarun Gogoi thinks “my fight is against him” and went on to emphasise the point that his fight is against poverty and joblessness. The Prime Minister told voters that they gave 60 years to the Congress. Now they should give 5 years to the BJP and his party will ensure Assam regains its lost glory. Modi said that the State will have a young chief minister after polls and announced that Union Minister Sarbanand Sonowal will become the next chief minister. 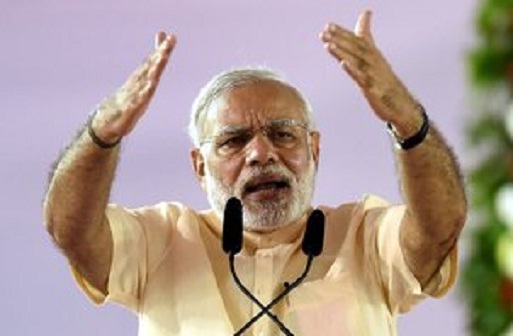 Modi recalled his days as a tea-seller and talked highly of Assam tea.